A new Connacht Horse Ploughing title will be on offer at the Co Roscommon Ploughing Championships on Sunday, April 7. This competition, which is confined to competitors from the Connacht region, has been sanctioned by the NPA and will feature a prize fund of €1,000, kindly sponsored by the Sweeney family from Strokestown. This year’s Co Roscommon Ploughing Championships takes place on the Hanley Family Farm at Kilbegnet, Creggs, Co Roscommon. Civil Engineering firm Ward and Burke are main sponsors of this year’s event and will have a large civil engineering display on the day as well as offering six apprentice places on the day. The international civil engineering firm is looking for young men and women who are willing to work outdoors, who are hard workers and who feel that they can learn better with hands-on experience. Staff from Ward and Burke will be on hand to talk to prospective trainees on the day. Ward and Burke are currently working with CIF, City and Guilds, ESB, Irish Water and Ervia to put together a programme of learning which would lead to an apprenticeship qualification. 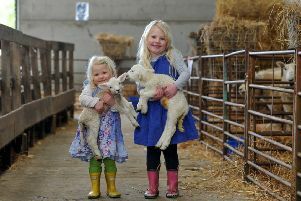 The Roscommon event will feature fun for all the family, from bouncing castles for the children to Macra Farm Skills for the young adults and a range of craft displays. The event will also feature some of the region’s best ploughmen and women, with an array of machinery new and old turning the sod. Sheep dog trials will also take place on the day. Traditional craft skills such as blacksmiths, as well as weavers and wool workers will also be displaying their skills on the day in what promises to be a fun day out for all the family. For further information on the Roscommon event contact PRO John Hanley on (086) 8125211.